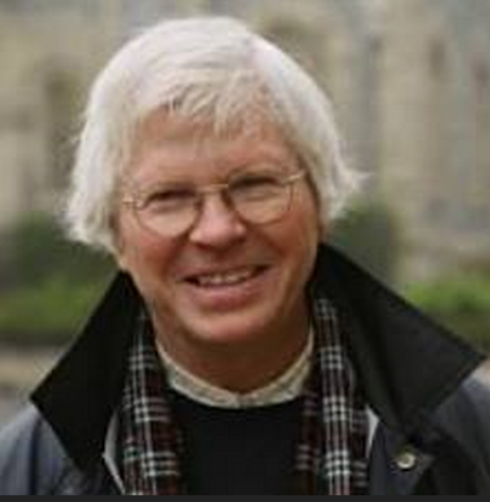 In keeping with the anniversary of the death of JFK, our guest today is author, Mark Shaw. Of all the different angles I've come across over the years, this is the one that has most taken me by surprise. Mark's extensive experience as a trial lawyer has helped him lay out the case against JFK's father, Joe Kennedy. 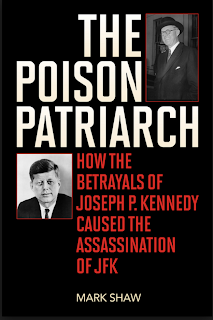 In his book, 'The Poison Patriarch', Shaw examines the decisions of father Joseph P. Kennedy to explain how those factors contributed to JFK’s death. We are happy to have Mark on the show and feel his pain about having a difficult time getting on mainstream media to promote his book. With details rarely mentioned by the 'Official Story" fans. Shaw convincingly plots the storyline of how Oswald's killer, Jack Ruby, and his Mafioso linked attorney, Melvin Belli, are integral to the JFK murder and its coverup. Episode 37: Jesse Ventura "They Killed Our President"
Today's guest is the very well known Jesse Ventura. Originally making his name in the world of professional wrestling, Jesse has since turned his time towards cleaning up bad government. That should keep him busy for quite a while. To that end, he became the Governor of Minnesota as well as writing several books. These include: a primer on American conspiracies in general; American Conspiracies: Lies, Lies, and More Dirty Lies, the sameness and inefficacy of both Republicans and Democrats; DemoCRIPS and ReBLOODlicans: No More Gangs in Government, and 63 documented facts that the government would rather you don't know; 63 Documents the Government Doesn't Want You to Read. His latest, They Killed our President is the result of his passionate desire to learn the truth of a most horrible event in history- the assassination of JFK. 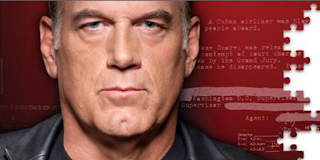 Having already covered that ground on his television show, "Conspiracy Theory with Jesse Ventura", his new book makes an even more powerful case that the murder was indeed well beyond the scope and planning of a 'lone nut'.